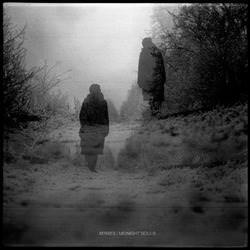 Trip Machine Laboratories - XERXES / MIDNIGHT SOULS - split 7"
XERXES / MIDNIGHT SOULS - split 7"
Both bands chose to play slowed down/more depressing tracks on this release. This showcases both bands' lyrics and vocal urgency better than their respective past records. For fans of Life Long Tragedy, Touche Amore, and Defeater. Xerxes are now on No Sleep and Midnight Souls on Reflections. On colored vinyl.